Avaliable every Tuesday Night for Dinner. 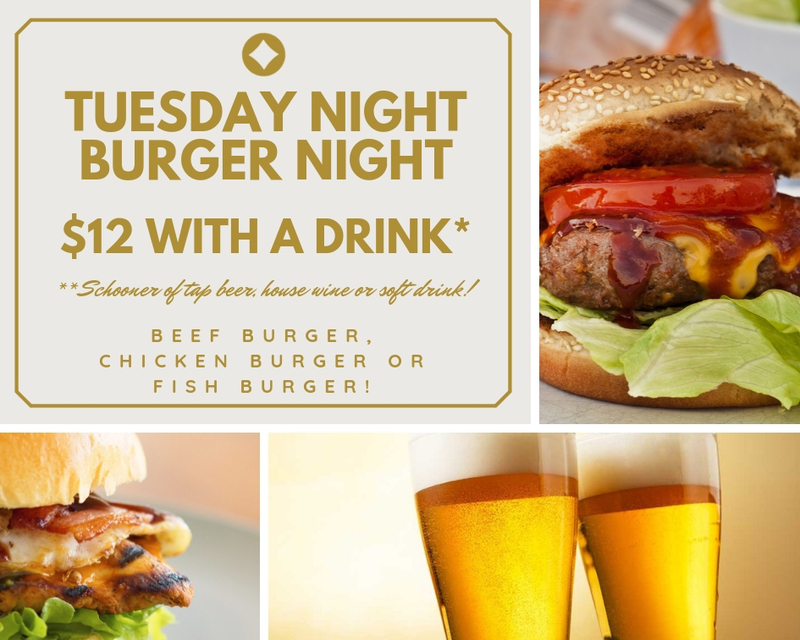 $12 for the burger of your choice - chef will have great options available every week. Check out the menu board for details! Each meal comes with a complimentary schooner of tap beer, house wine or soft drink, simply present your voucher at the Bar!